NJFF conducts a round of dialogue about wolf management. 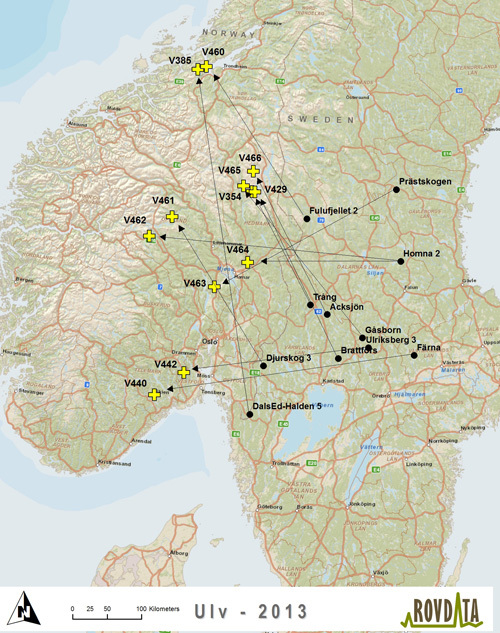 They open membership meetings will take place in Oppland, Vestfold, Østfold and Buskerud the coming weeks, and follows the template from the meeting which was held in Oslo before the summer holidays. – NJFF will conduct an extensive policy work toward parliamentary the treatment this fall. For NJFF centrally it is important to hear about the experiences that hunters have been gradually with the wolf. We also have with us as county leader Knut Arne Gjems from NJFF Hedmark, so we also have illuminated the development that takes place within wolf zone, says NJFFs information Espen Farstad. The reason is the political process towards the Storting's consideration of the issues of population goals, wolf zone and limit herds. Gjems shall inform about the challenging situation in Hedmark, where 114 hunting dogs killed by wolves, cervids tribes deteriorate and conflict level is high. NJFF Hedmark fight alongside NJFF central to getting a new wolf management. TRONDHEIM (VG) In the years 2013 and 2014 was 30 wolves killed in Norway. Only one of them was born in Norway. The others were Swedish wolves wandering westward. Most wolves as we know the fate of, is shot as nuisance in sheep areas, license or been killed in accidents. Monday starts Southern Fjords District Court handling of a case where six men are charged with having hunted wolf illegal. Every winter tracked wolves in their various territories. On snow, scientists can see whether alpha animals - wolves leader - mark territory. Using trace snow they can also form a picture of how many puppies are born each winter. Two findings enters entirely clear from the research: How migration patterns of young wolves looks, and that in any forward last winter has half the leader wolves territory in Norway tended to disappear. Until 2011 summarized a report that 100 wolves were killed illegally in Norway and Sweden. Total 50 wolverines were felled year permissions to kill period. Stock situation indicates that the need for extraordinary withdrawals may be somewhat less than in previous years. In total, the field 50 animals av total quota of 142 animals. 49 wolverines were felled by license hunters and one animal was fouled by Norwegian Nature in an extraordinary withdrawal. In addition, a wolverine hit by trains in winter. The national population target for wolverine is on 39 annual ungekull. Of the total 52 young coal Rovdata registered spring 2014, was carried 12 hiuttak of snow in spring. In addition, a known departure of a litter of other causes. Net number of child rearing in the entrance at last year's grazing season was thus 39, exactly on Parliamentary population goals. Before withdrawing hi, damage decreases and production of new puppies calculated Rovdata the Norwegian population to about 340 Wolverine in 2014. Hedmark Centre Party adopted Saturday a resolution where they advocate that everyone living in wolf vulnerable areas should be able to obtain pepper spray for self-defense. – Those who have the wolf close to him, especially in Trysil, Engerdal and parts of Eastern Valleys, experiencing insecurity. We have to take seriously. They want pepper spray as a weapon to protect themselves. Today pepper spray registered weapons and not available to most people, says the first woman Aasa Guest Vang in Hedmark Centre Party to the newspaper. Stortingsrepresentant, Trygve Slagsvold Vedum from Stange in Hedmark, Compatible also pepper spray Resolution. But he is not sure whether it will lead to something: – I'll see if this is something to take on to the national level. I understand why people on Slettå and other areas in Hedmark feel unsafe because of the wolf, says Vedum the newspaper. 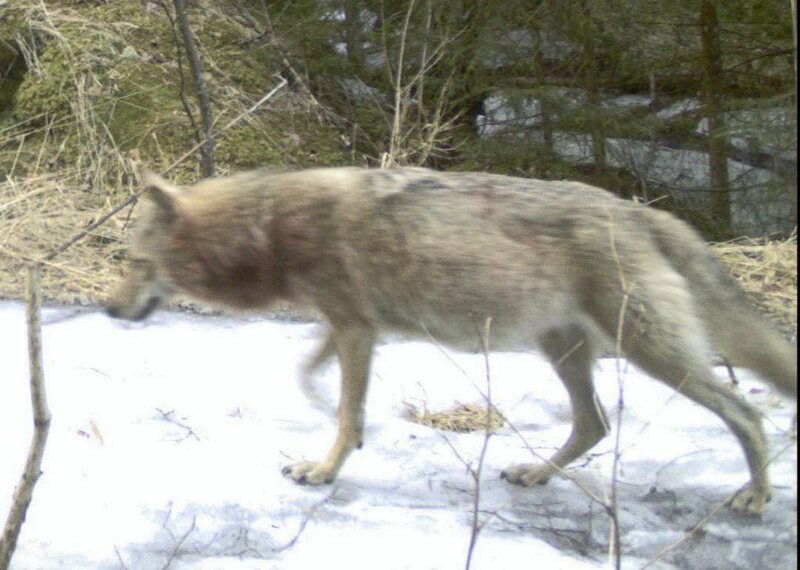 "Wolf" that was observed west of Bjorli early Thursday morning may have been a Swedish hound. When Nature Inspectorate Esben Bø in SNO got the message, he went to the place to look for tracks. In the same area came Bo in contact with a Swedish dog owner. – His dog was high, powerful and large. It is not at all strange that someone could be wrong, says Bo. PM. 00.30 Monday night 29. June was an estimated wolf, he, struck and killed by Eiken church Hægebostad. County Governor has given a foul permission tortious wolf that applies even 4. July. A hunting permit is appealed and sent Environment Directorate for treatment, but foul permit while appeals in progress. There may be another individual who is now hit, and hunting permits maintained. But The intermunicipal gunning layer is asked to discuss the current situation with the county governor of Environmental before it made some new challenge actions. 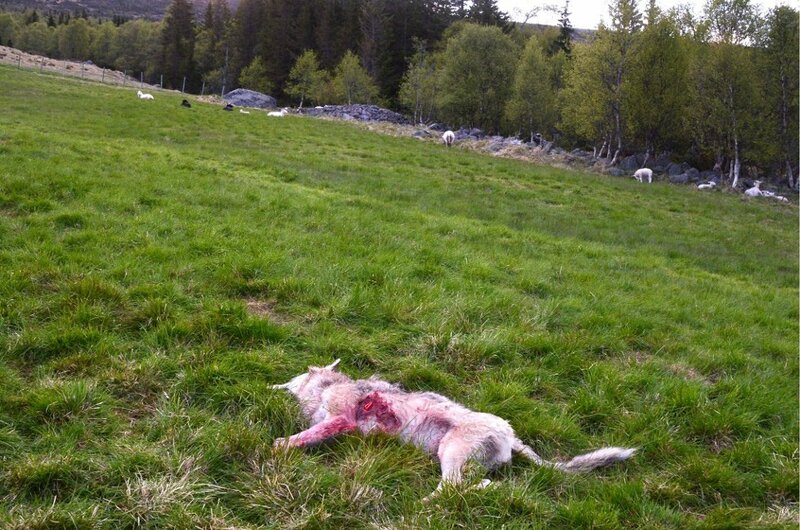 Police believe that more can be indicted in connection with that was shot a wolf in Åmot Thursday night 14. March. They should have participated in the attempts to hide the dead wolf. 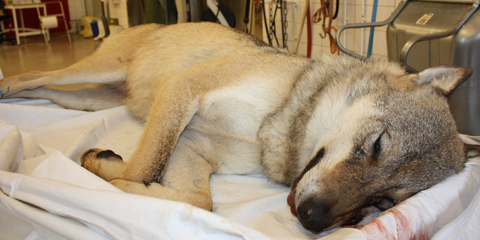 It has long been known that a the 47-year-old from Elverum has admitted to having shot the wolf, but has stated he thought it was reefs. A retired police officer is questioned and charged with having been involved in attempts to conceal evidence, So ulveskrotten. - In addition, we know that several other people in the area have been involved in planning attempts to get rid of the wolf carcass. 47-old has called many and told about the shooting of wolves and asked for help, says police lawyer Henning Klauseie Hedmark Police. He said that it was caught up phone calls from 47-year-old bugged telephone Thursday night 14. March who told police that it had been shot wolf. 47-old took in the morning several phones and told that wolves were shot. One of them was a retired police officer in the area. The 7. mars var det igjen jaktstart for lisensjakt på ulv. Gjenstående kvote var på tre dyr. Dette målet ble nådd både i 2010, 2011 and 2012. – I fylker utenfor forvaltningsområdet for ulv er det så langt påvist 4 til 5 ulver i Aust-Agder og Telemark, hvorav to er skutt, and 1 til 3 ulver i Oppland og Buskerud. Det kan være slik at ulv som er sporet i Oppland og Buskerud er samme individer som er påvist i andre fylker utenfor ulvesonen, noe som videre sporing og DNA-analyser vil avklare fremover, sier Petter Wabakken, prosjektansvarlig hos Høgskolen i Hedmark. Wednesday 5. februar ble en ulvetispe skutt fra helikopter. I dag 8. februar møtte hannen hennes samme skjebne. Det revirmarkerende ulveparet i Sølen er derfor fjernet av Statens Naturoppsyn som et ledd for å forebygge fremtidige skader på sau, utenfor forvaltningssonen for ynglende ulv. Noen jakt blir det imidlertid antakelig ikke før 7. March. I høst gikk rovviltnemndene inn for at kvoten for lisensjakt, som varer fram til 31. March, skulle være på fire dyr. Én ulv ble skutt i Tynset før nyttår. Ulv og hund kan parre seg og få levende avkom. Altså er det ikke to arter, men en. At hunder ser så forskjellige ut er et testament til hvor mye man kan få til ved selektiv arv. Begge har 78 kromosomer i 39 by. En oversikt som Fylkesmannens miljøvernavdeling har utarbeidet viser at det er mellom 9.000 and 10.000 sauer som er omsøkt drept av rovdyr i sommer. - Jeg vet om tre som driver med dette. I en siida er det to stykker som driver med en spesiallaget tang. I en annen siida er det én som opererer med det jeg vil si er en gaffel. Både tanga og gaffelen er konstruert slik at de har avstand mellom «tennene», som er tilsvarende tannavstanden til de store hjørnetennene hos gaupa, mellom 2,5 and 3,5 centimeter. Gaupa avliver normalt byttedyr som rein med noen få bitt i struperegionen. Dette etterligner bandittene, sier han til Ságat. Et representativt utvalg nordmenn fikk mellom 2. and 9. april i år spørsmål om rovdyrene bør få mer, mindre eller uendret vern. Of the 13 ulvene som har ynglet i Norge de siste tre åra, er åtte sporløst forsvunnet. Ulveforskernes forklaring er at de fleste er tatt av dage ved illegal jakt. Den norska organisationen Aksjonen Rovviltets Røst, ARR, anmäler tre personer efter en vargjakt i Telemark den 1 February, där en varg fälldes. De tre personerna är jägaren som sköt det första skottet, Espen Marker på Statens naturoppsyn och miljökoordinator Olav Lia på polisen i Telemark. Lørdag ettermiddag ble det, trolig for første gang på over 100 years, skutt en ulv i Vestfold. Hannulven på rundt 50 kilo ble skutt i Lardal, mellom Hvittingfoss og Svarstad.